Cooler Master's Silent Pro M2 720W is the only non-750W model on test, although its 30W of reduced power compared to the rest is unlikely to make too big a difference. It's a semi-modular power supply with 80 Plus Bronze certification. 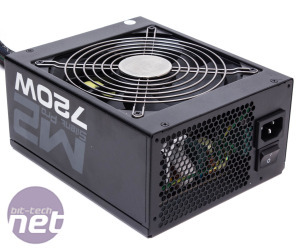 At £84, it's more affordable than the Gold certified competition (although PC Power & Cooling's model can be found at sub-£100), but Fractal Design's Bronze certified 750W PSU is still over £20 less, although Cooler Master's five year warranty tops Fractal's by two years. The Silent Pro M2's single +12V rail is rated at 58A, and as such can, in theory, supply 696W over it. As you might expect, the 750W models all have a little more juice to give in this regard. A single 135mm intake fan protected by a removable wired fan grille makes up the cooling along with a standard meshed back panel - not quite as stylish as the Be Quiet!, but nice enough. The main, non-modular cables, including the 4+4 pin EPS12V connection are both sleeved, while the rest are all black and use a flat, data cable design, which makes them very flexible, though potentially less easy to modify with custom sleeving. 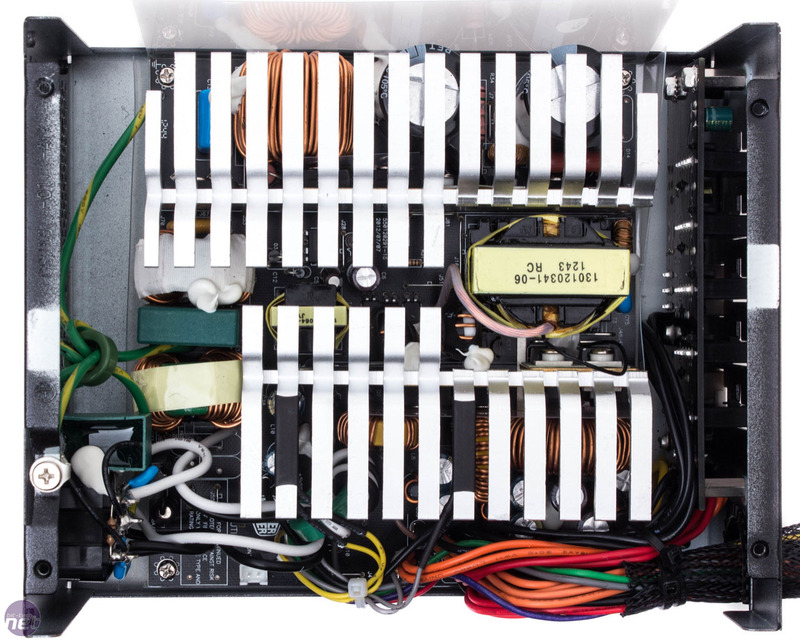 Its collection of five molex, nine SATA and four PCIe connections is impressive for a cheaper PSU, and its SATA and PCIe cables are actually the longest on test too. Annoyingly, Cooler Master has opted to fit both PCIe cables with one 8-pin and one 6+2 pin connection, so users with graphics cards sporting two 6-pin power ports will have to plug in both cables. The Silent Pro M2 720W has no issues reaching its maximum capacity. A load of 700W sees the +12V rail drop to 11.81V, which is perfectly acceptable, and though the +5V rail does show more variance than the others on test, its outputs are well within the Intel specifications, as are those of the +3.3V rail. As an 80 Plus Bronze certified PSU, it's not surprising to see the Cooler Master unit's lowered efficiency compared to the other higher rated ones. 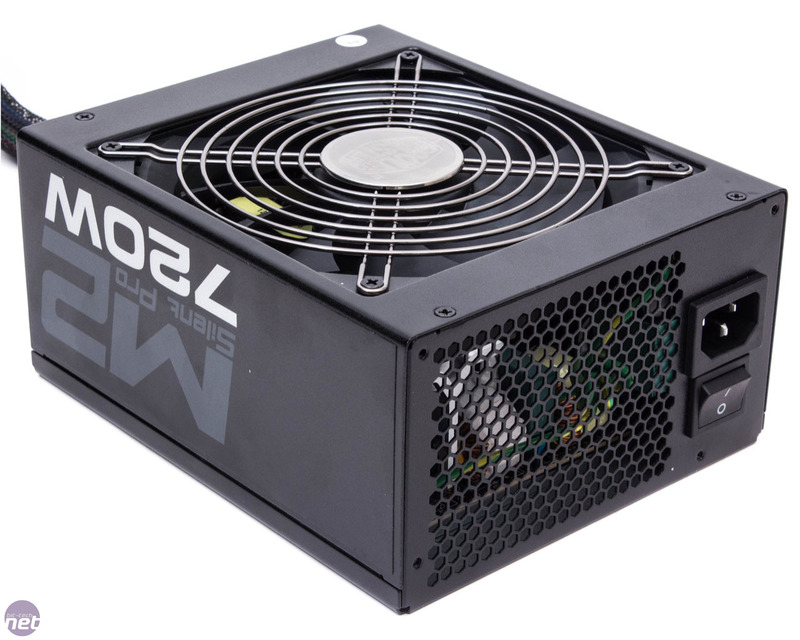 However, in all but the 200W test where we see 84.85 percent efficiency, the PSU consistently scores above 85 percent, which is very good for a Bronze model. Peak efficiency comes in at 87.05 percent in the 500W load test, and it just outshines the only other Bronze PSU on test, the Fractal Integra R2, at every step. The ripple values of the Silent Pro M2 720W are far less impressive, as they're the worst of all the PSUs in every load test. Its ripple values range from 61.2mV at 200W to 115.4mV at 700W, which is only just within the 120mV limit. 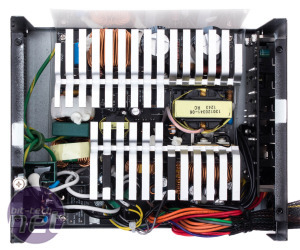 If you're a frequent heavy user or are interested in overclocking, you'll likely want to avoid this PSU. Without load the PSU consumes 0.61W of power, again the worst on test. It's unlikely to have too much of an impact, even in the long term, but even so this figure should ideally be below 0.5W. Noise levels are more impressive, and the Cooler Master PSU does a decent job of justifying its name. Its rating of 33.4 dB(A) at 100W climbs to just 34.7 dB(A) at 500W, which is whisper quiet. Five other PSUs do have it beat for noise levels, but noise output from Cooler Master's PSU certainly isn't something to complain about. The Cooler Master Silent Pro M2 has a lot going for it. It has no problems remaining stable and efficient under heavy loads, and its modular cables, connectivity options and low noise output are further bonuses, as is the five year warranty. 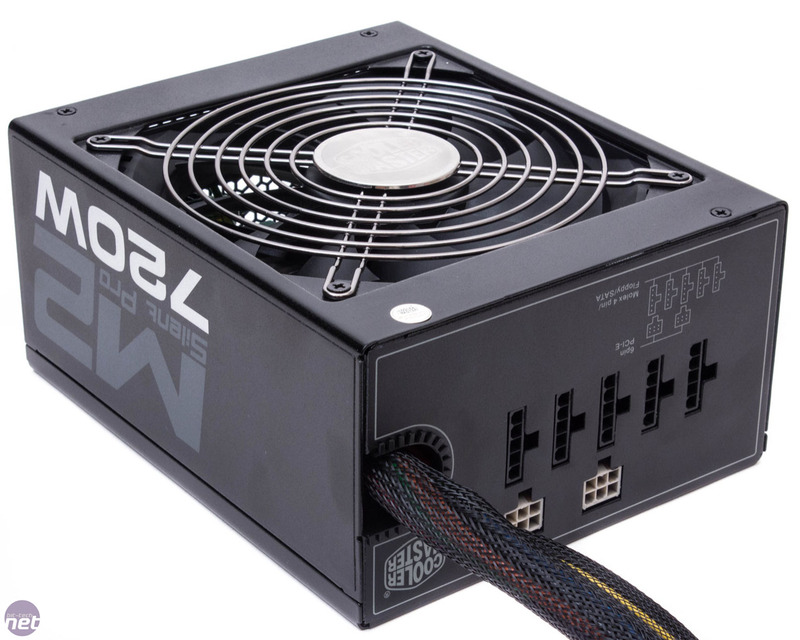 With this in mind, we could forgive its price tag being a little on the high side for a Bronze PSU, if only it wasn't for its ripple values, which are consistently and significantly higher than any of the other models on test. It might not seem like too big a deal given that it stays within the Intel specs, and if you're happy to live with it this could well be a solid purchase. There's a reason we test for ripple, however, and its poor performance in this area is what holds it back from a recommendation.